With a land area of 2603 m2, NSA 7100 m2 HUB OF THE CBD, We are selling this site as is, as a raw site potential 7 Level height building, 2 street frontages, potential 64 units plus commercial, potential 2 basements parking for 100 cars, 1 level commercial plus 6 levels of residential, 64 units, consisting of 14 x 1 bedroom, 26 x 2 bedroom, 24 x 3 bedrooms, GFA is 8433 m2. Top Location middle of the Mosman Park City Hub, Close to Water Beaches, close to all amenities, close to Mosman Park Railway station & to Victoria Railway station. 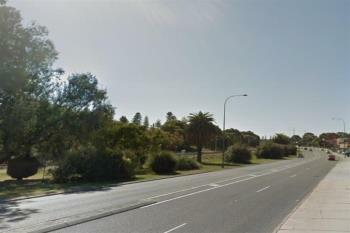 It is also near the Seaview Golf Club, & to Mosman park Golf Course, to Swann River, Indian ocean & Beaches. Short distance to Red Rooster, to Primary Schools, Coles Mosman park, Camelot outdoor Cinemas, Royal fresh Water Bay Yacht Club, Mosman Bay Park and Mosman Bay Bowling Club.